Nike’s marketing pitch: Plush comfort. Responsive ride. Upper: Engineered mesh, inner sleeve, Flywire cord+strap based lacing. 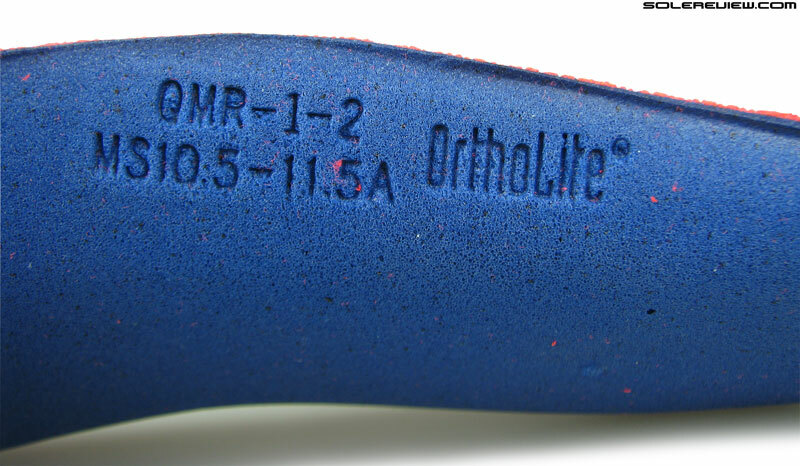 Midsole: Dual-density; Lunarlon core inside a firmer EVA midsole. Heel and forefoot Zoom Air bags. 10 mm heel offset. Widths available: D - regular (reviewed), 2E- Wide. Nike’s premium cushioned trainer receives tons of updates. There’s now a Lunarlon core inside an EVA midsole fitted with two Zoom Air bags, and the outsole is completely redesigned. The Flywire system reconfigures itself to deliver a better fit quality than the string-type design. 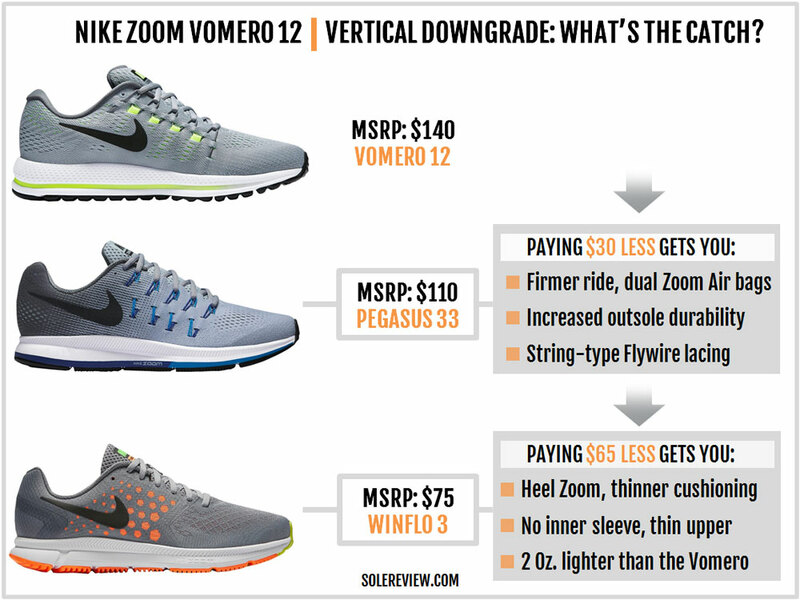 When the Pegasus 33 got two Zoom Air bags – one each for the heel and forefoot – we were curious to know what the next Vomero would look like. After all, using two midsole Air units was the Vomero’s signature move for a long time, a differentiation which justified its high retail price. Now we know. The Vomero 12 dropped recently, and not only does it feature the familiar Zoom Air bags but packs them within a softer Lunarlon core. The upper hasn’t changed a great deal, but there are a few improvements worth a mention. The outsole is also completely redesigned from scratch and makes a significant contribution to the Vomero’s cushioned ride. If the feature-rich Vomero isn’t a sign of the times, what is? For many years, material innovation moved along at a leisurely pace. Premium running shoe updates usually involved molding the humble EVA (Ethylene Vinyl Acetate) foam in myriad ways, or redesigning the upper using advancement in manufacturing technology. While EVA foam and upper updates are part and parcel of footwear design, the BASF manufactured Infinergy foam has reset the equation. Popularly known as the adidas Boost foam (or in Saucony’s case, the Everun), the new midsole cushioning material has, quite literally, given new legs to a couple of footwear brands. So it is this reshaped landscape that the Vomero 12 bravely steps into. Understandably, the new Vomero is well equipped with all what Nike could throw at it. And one can’t help but notice that the Vomero has released much earlier than its usual date, which happens to be Spring each year. The V12’s got a sleeved upper with cleverly redesigned Flywire lacing. 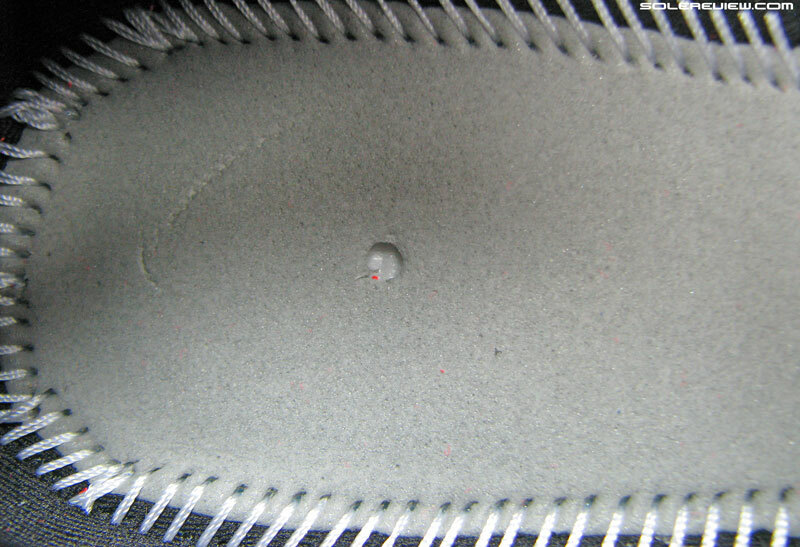 Below, two Zoom Air bags are embedded inside a softer Lunarlon core, and all of this is confined within a firmer EVA foam midsole. The reconfigured outsole plays its part in the cushioning ecosystem by drawing on a brand new geometry, softer material, and the thickness of the rubber lugs. 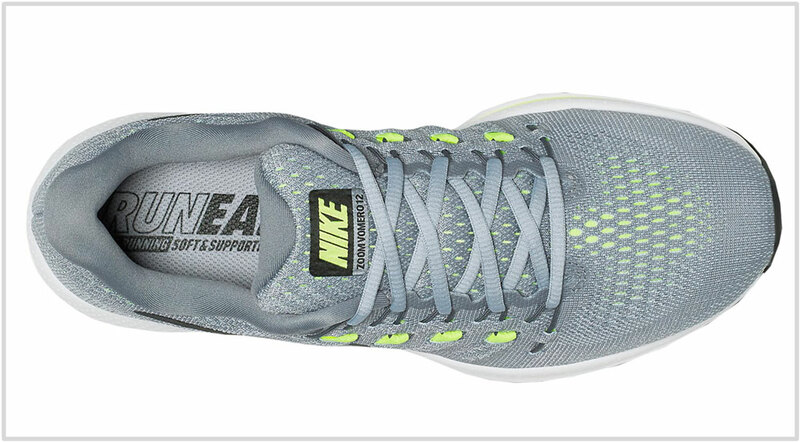 There’s no dearth of neutral cushioning models at this price-band. The $140-160 retail price allows brands the opportunity to showcase their best and brightest, and as a result, there’s plenty of variety in terms of the fit quality and ride experience. For example, the Asics Nimbus 18 has a lot of soft cushioning, but no bounce in its ride. The tight fitting adidas Energy Boost 3 is softly cushioned and responsive, while the Everun-fitted Saucony Triumph ISO 3 produces a firm and responsive ride. The New Balance 1080V7 and Brooks Glycerin 14 do not offer innovative cushioning tech. They just happen to be (relatively) firmly cushioned shoes with a well-rounded, general purpose vibe. The Nike Lunarepic Lo is also comparable, as it packs a Lunarlon core inside a laser-cut midsole. And how does the Vomero 12’s ride compare with other models? At a basic level, the V12 is softer than the Triumph ISO, the Lunarepic, the 1080, and the Glycerin. The softness is on par with the Energy Boost and the Nimbus, except that the cushioning behaves differently. For instance, the EB3’s cushioning is rear-loaded whereas the Vomero 12 distributes it evenly. The Nimbus 19 is soft, but lacks the responsiveness or rebound felt in the Energy Boost 3 or the V12. The 2017 Nimbus 19 uses the Dynaflyte foam, which makes the shoe firmer than the 18. Conversely, when compared to the Asics Nimbus 19, the Vomero 12 runs softer. On the surface, the Vomero 12’s upper is very similar to the Vomero 11. Like the past two editions, the upper is made of a single-piece engineered mesh (‘Flymesh’) with fused Swoosh logos on the sides. There’s an internal stiffener ensuring toe-box shape and space, and the heel has a hard counter inside. The tongue is generously quilted with foam. Though there’s slightly less padding than the V11 (and a lot more than the V10), the overall amount of foam fill feels similar to the Vomero 11. Ditto for the heel collar padding, which is very similar to Vomero 11 levels but a lot extra over the Vomero 10. Inside, there’s a partial sleeve which joins the tongue to the upper. 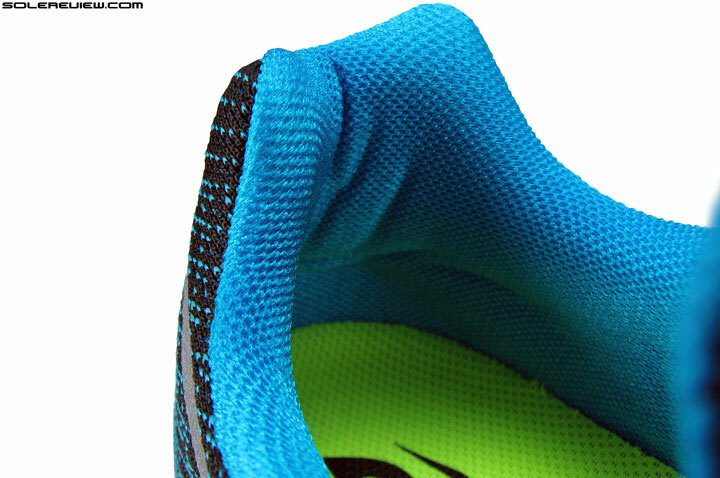 Like the previous Vomero, the sleeve design leaves a good portion of the tongue free to move. Nothing changes with the laces or the eyestay. The laces are the same round ones used on the V11, and the eyestay is laminated to prevent fraying. Solereview has been a long-time critic of the round Flywire cords because of their tendency to dig into the sides. So we favored the strap variety of the Flywire which was used on the last year’s Vomero. The 2017 Vomero 12 puts an end to the round-or-flat Flywire dilemma; it simply uses both in a clever way. The problem with round Flywire cords was that they pressed into the sides of the foot, whereas the flat straps felt more comfortable as they lay flush against the sides. 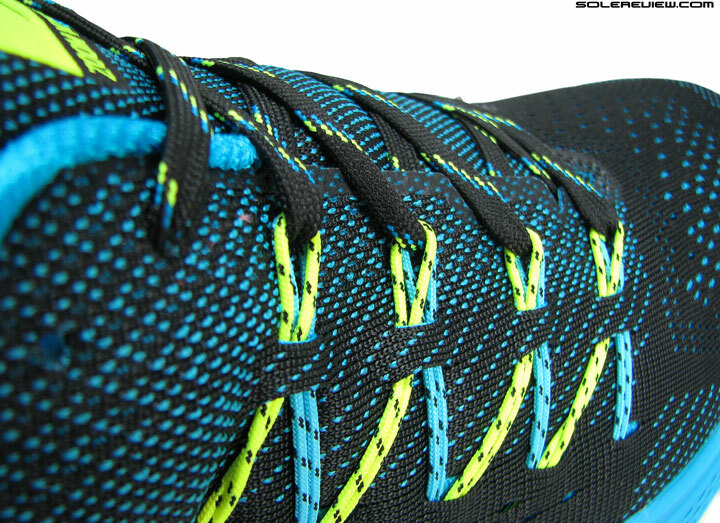 The new upper uses hybrid Flywire, a design approach which restricts the cords to the top. The flat straps hug the sides of the foot, and then hooks up halfway to the cords, which then connect to the laces. In conclusion, you get the cinch you need, but minus the side pressure otherwise exerted by the cord-only Flywire. Only the first and last Flywire columns located near the forefoot and rearfoot are built using the round cords. The completely reworked midsole and outsole is a real bag of treats. Nike rummaged through its drawers to find every piece of cushioning tech at its disposal, and then packed that into the Vomero 12’s sole design. Unlike all past editions of the Vomero, the outer midsole does not feature a separate crash pad. Instead, the external midsole is made completely of a single density EVA foam which Nike calls Cushlon. The Vomero 11 used the same EVA foam variant, except that the Vomero 12’s foam feels firmer to the touch. The sidewalls have a dimpled texture, and a compression ridge runs around either side of the midsole. The heel edge has a slight bevel (angle) skewed towards the outer side, but other than that, there’s no visible bias. Inside the midsole is where the good stuff is. There is a softer Lunarlon core, and within that are embedded two Zoom Air bags – one for the rearfoot and another for the front. 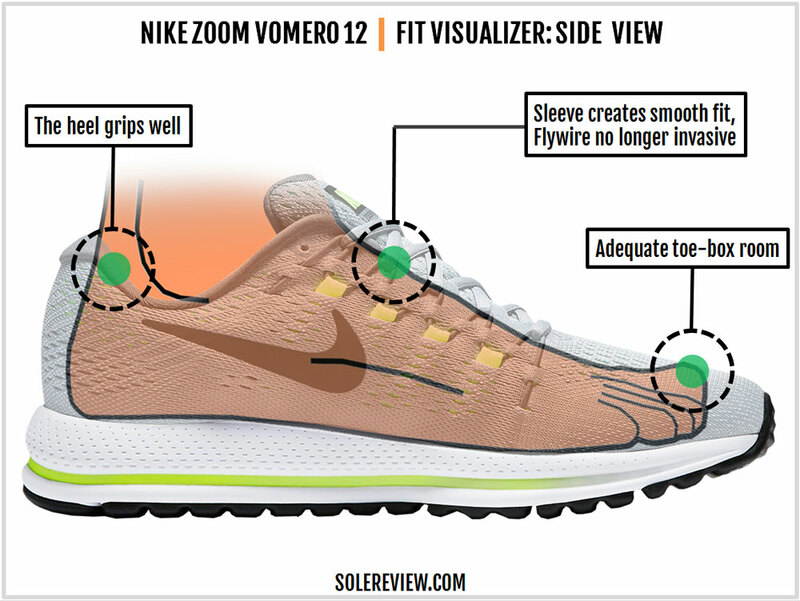 This is standard Vomero fitment, except that Zoom bags now lie encased in Lunarlon and surrounded by a single-density midsole. The Vomero 11 removed the cardboard/cellulose board above the Zoom Air bag which made the earlier Vomero editions firmer. The Vomero 12 Zoom Air bag is cellulose free as well. The outsole also plays a large role in the Vomero 12’s cushioning mechanism. 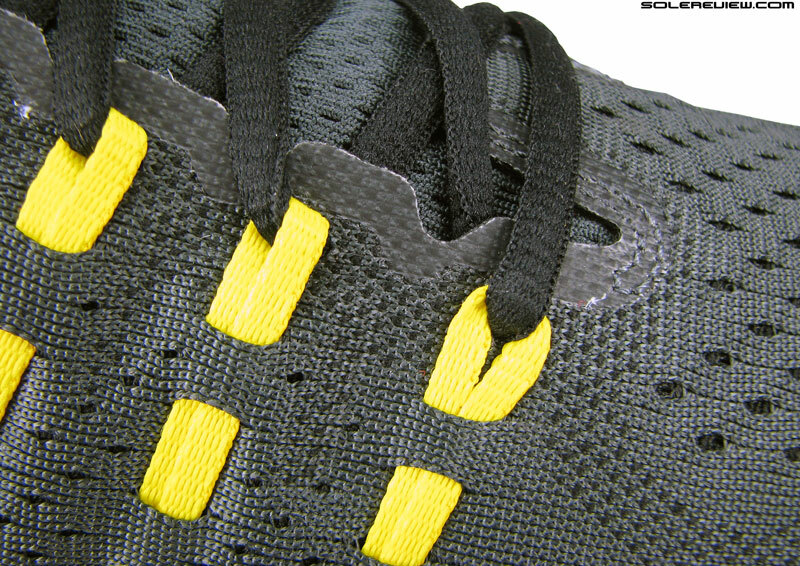 To begin with, the outsole rubber is much thicker throughout. The forefoot uses blown rubber of noticeable thickness; furthermore, except for the crash pad under the heel, the entire outsole is made of the soft blown rubber. This is different from the past two Vomero designs, where the soft blown rubber was used only under the forefoot. It’s not just the rubber thickness, but the entire geometry gets wide-sweeping changes. The forefoot is split into a colony of rounded and raised rubber lugs, and the rearfoot outsole is segmented into different parts. The forefoot grips well on dry surfaces; both the number of lugs and the softer rubber help in traction. The rearfoot is very different from the V10 and V11’s outsole design which used a single piece of rubber fashioned in the form of parallel strips. Nike called this the ‘crash-rail’ design. The V12 leaves the crash rail behind, and instead divides its lateral (outer) outsole into multiple pieces mounted on the midsole foam. For instance, the heel crash pad is a separate piece altogether made of a hard rubber compound. So the rear and midfoot outsole goes from a one-piece construction to four different outsole pieces. The Vomero 12’s outsole also has something which the 10 and 11 did not. Turning the shoe over reveals a prominent cavity under the heel area. 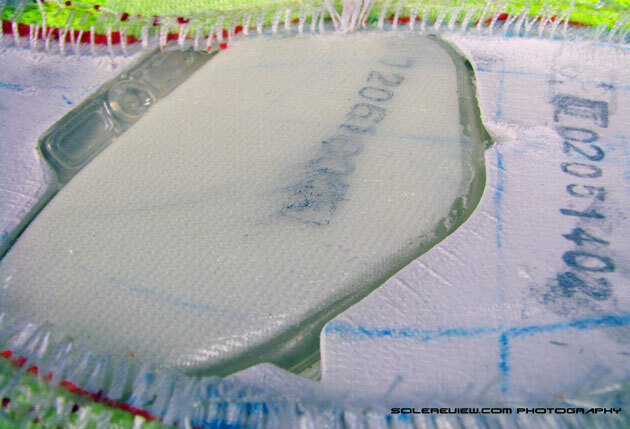 There’s a urethane layer (with the ‘Nike Zoom’ text) protecting the Zoom Air bag which would have otherwise remained exposed. 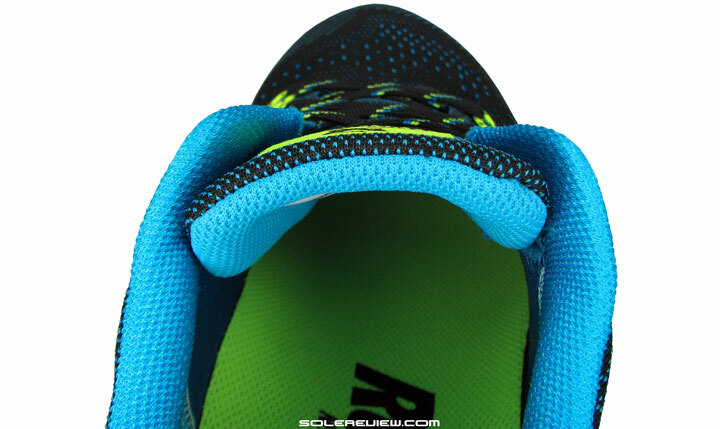 This design bears a minor visual resemblance to the New Balance 1080V5’s heel cavity. 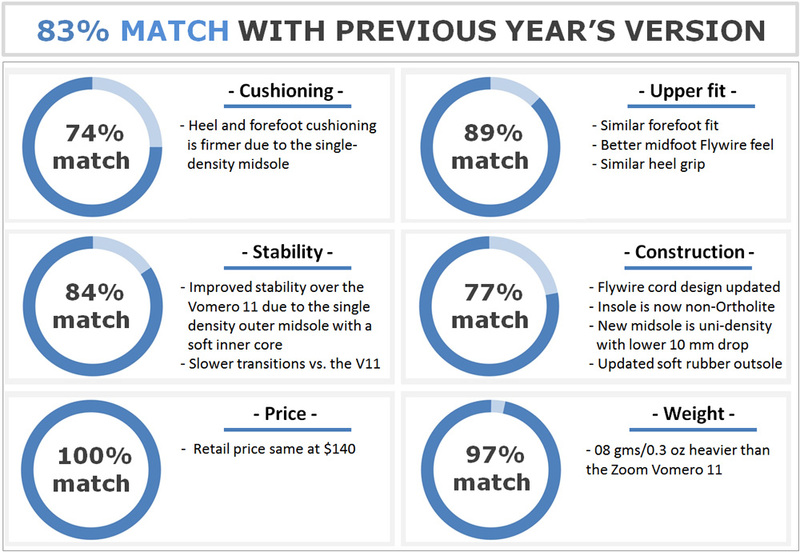 It is needless to point out that these updates influence the ride quality significantly – like the heel cavity which produces a trampoline-like cushioning effect. The removable insole has the same ‘Run Easy’ call-out on top, but Nike substitutes the Vomero 11’s Ortholite insole with a generic one. The base material is still soft foam, but not as dense as the one inside Vomero 11. When you pinch the foam with your fingers, the V12’s insole feels thinner than the Ortholite version. 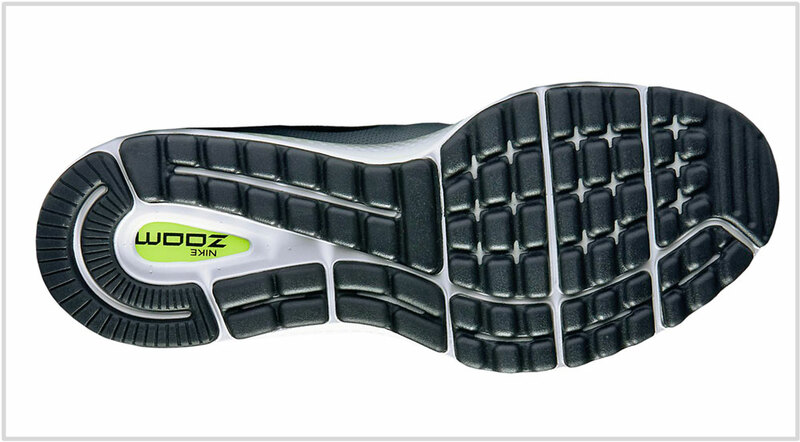 In the past, we’ve seen this generic insole used on the Zoom Odyssey and the Zoom Elite 8. There are two other things worth underscoring. 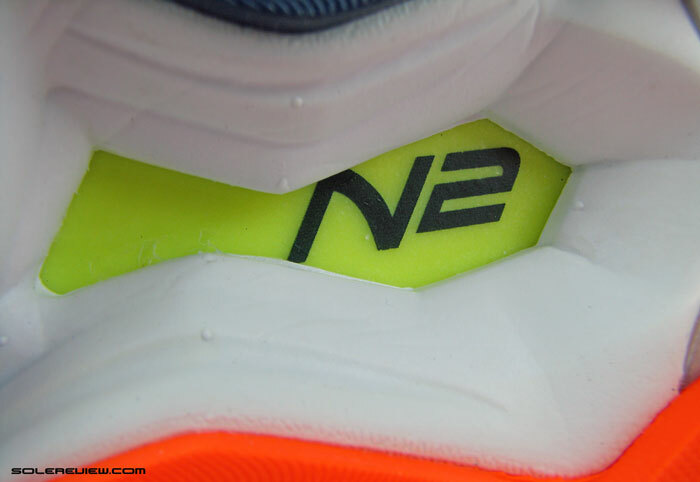 First, when compared to the Vomero 11, the inner midsole wall has a higher flare under the arch area. This leaves the under-arch area feeling more supportive than the V10 or 11. The other thing – and this bothers us a bit – is the Vomero 12’s flexing behavior. When you try and bend the Vomero 12, it does so just under the midfoot. In the past, the Vomero’s forefoot has always been stiff due to the pressurized Zoom Air bag. But rarely has a Vomero flexed under the midfoot. On the last two Vomero models, the forefoot was stiff but the solid rubber ‘crash rails’ prevented midfoot flex. So despite the softer ride, the Vomero 11 exhibited better (and evenly spread) flexing behavior. 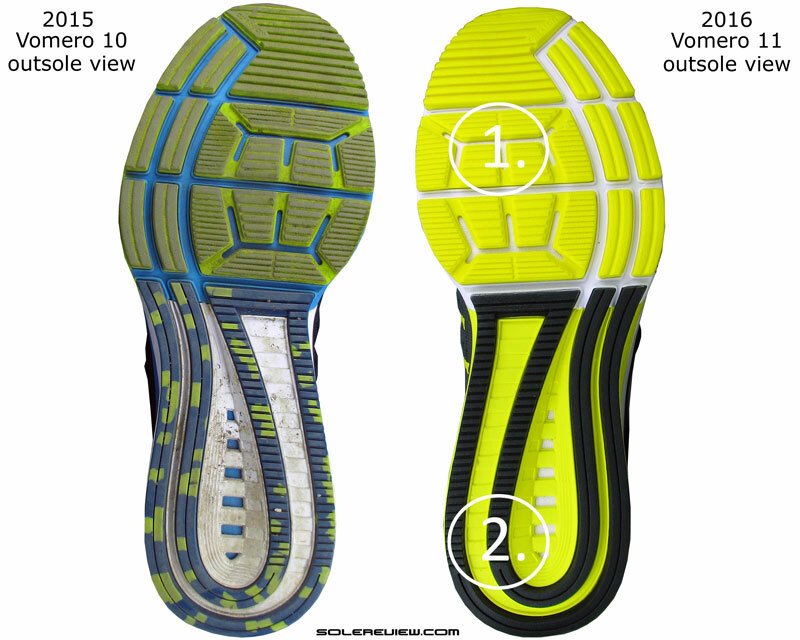 The split outsole design of the Vomero 12 is also responsible for making the midfoot more pliable than the V10 and 11. 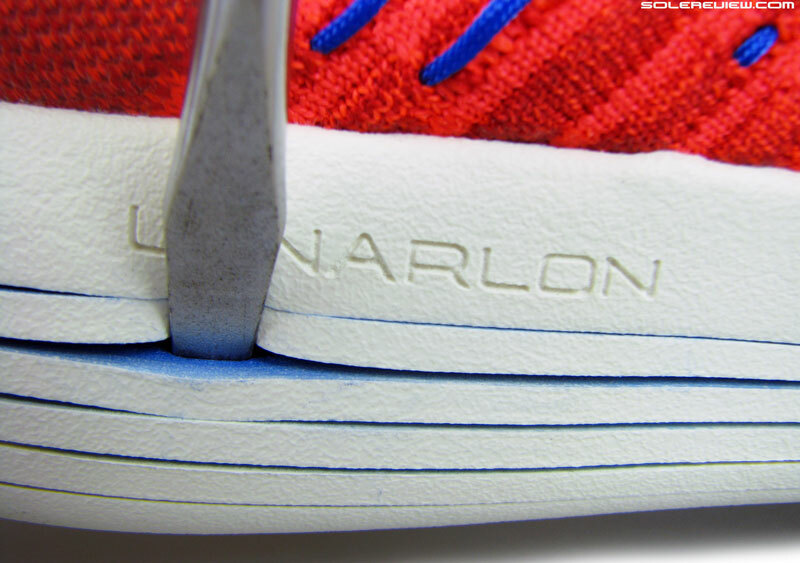 Under normal circumstances, a Lunarlon based midsole would have had durability issues, considering that Lunarlon tends to lose its cushioning over a couple of hundred miles. 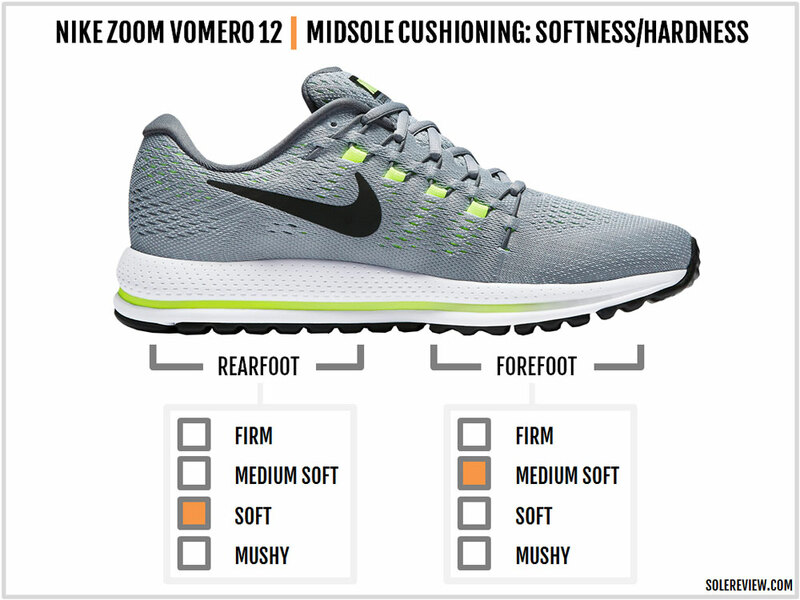 But the Vomero 12’s Zoom Air bags make all the difference, helping the midsole maintain its structural integrity over a longer period. You should face no concerns with the upper – though it’s constructed of a one-piece mesh, there’s an inner sleeve and lining inside for reinforcement. The outsole has plenty of thickness which compensates for the use of soft blown rubber. So no weak spots here, though the softer portion of the outsole will be the first area to undergo wear and tear. The Vomero 12’s overall fit is similar to the 11. If we had to state the similarity in numbers, then the V12’s fit is an 80% match with the V11. The heel is plump with foam, just like the last year’s model, and grips well around the ankles. The toe-box height is just right, with ample space available vertically. The midfoot provides superior lock-down due to the updated Flywire straps. The flat Flywire cables lie flush against the sides, and the inner sleeve makes the interiors smooth. The Vomero 12 fits true to size. Helped by the internal toe-bumper, there’s adequate room ahead of and around the toes. The Flywire design isn’t 100% cord-free. The first column located near the forefoot has the string type of Flywire, and this exerts side pressure. 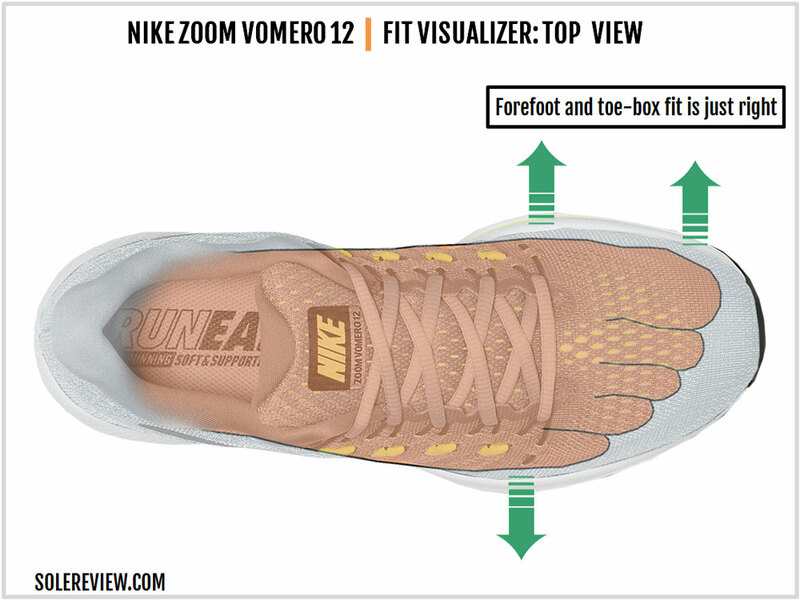 Thus, there’s a localized tightness on the forefoot sides, something which the Vomero 11 did not have. 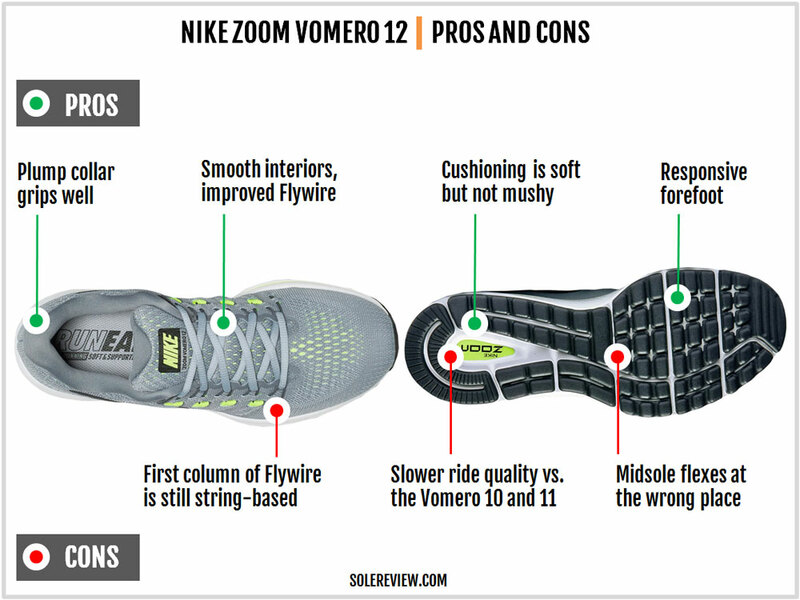 So while the entire forefoot isn’t narrow, only the string-Flywire part feels tighter than the Vomero 11. The Vomero 12 hits all the right notes this time; the ride is soft but without a trace of sink-in mushiness. This is made possible by a cushioning ecosystem which is all about balance. The Lunarlon foam core is soft, but the foam around it is firmer. The Zoom Air bags provide cushioning, but the tightly sprung construction prevents it from bottoming out. There are a few other factors which matter in the production of softness. The removable insole has plenty of foam cushioning, and the heel cavity tends to splay under weight. 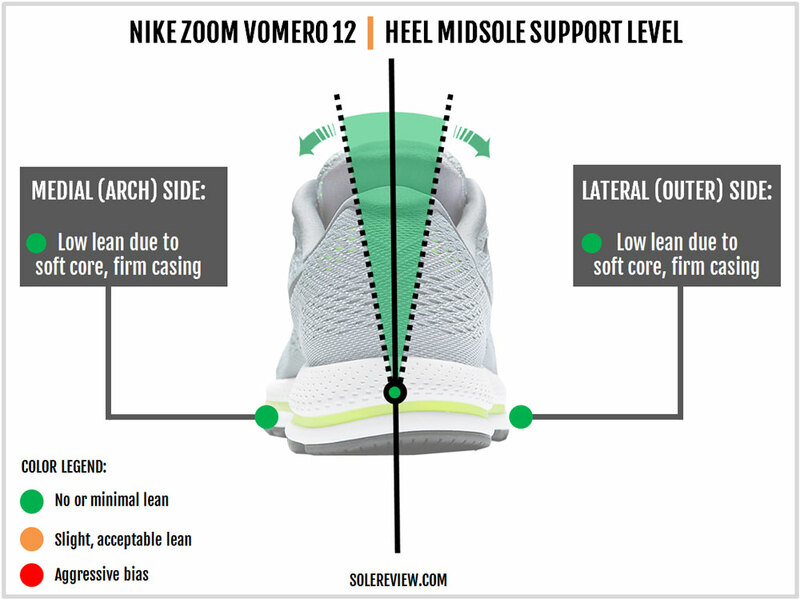 This is why the Vomero 12’s heel feels noticeably more cushioned than the forefoot. And then there’s the ultra-thick outsole. The chunky pieces of blown rubber make soft contact with the running surface. You could say that the Vomero 12 midsole spreads softness throughout its stack-height. In most shoes, the outsole is very firm, which keeps most of the softness focused in the midsole. The split design of the outsole also helps increase the soft sensation. 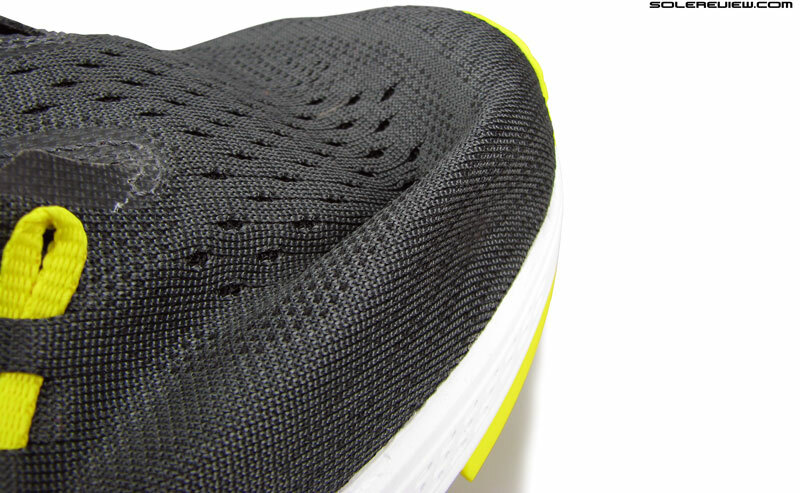 The heel crash pad splays outward on heel strike, and so do the segments on the lateral outsole. 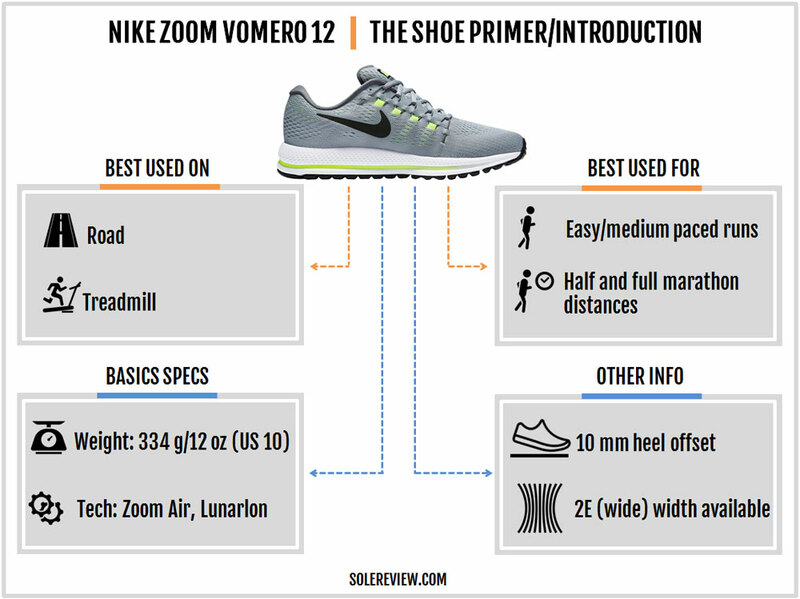 As such, the Vomero 12 is an excellent shoe for long and easy runs. There’s plenty of deep cushioning to tap into regardless of the distance, and the upper fits comfortably for the long haul. The Vomero 12 is a great marathon shoe if you’re not manically focused on the pace. Ideally, Zoom Air bags inside a midsole should deliver a lot of spring-like feel. But then, you need to account for the chunky blown rubber outsole and the heel cavity. 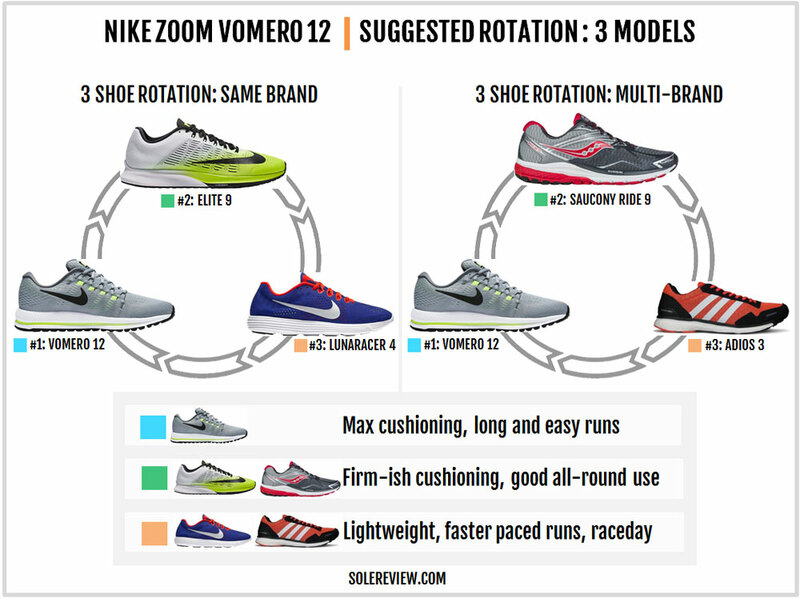 In the past Vomero models, the Zoom Air units were above a firmer outsole. In comparison, the Vomero 12’s rearfoot Zoom sits above a cavity, and the thick rubber slabs add a layer of softness between the forefoot Zoom and the ground. 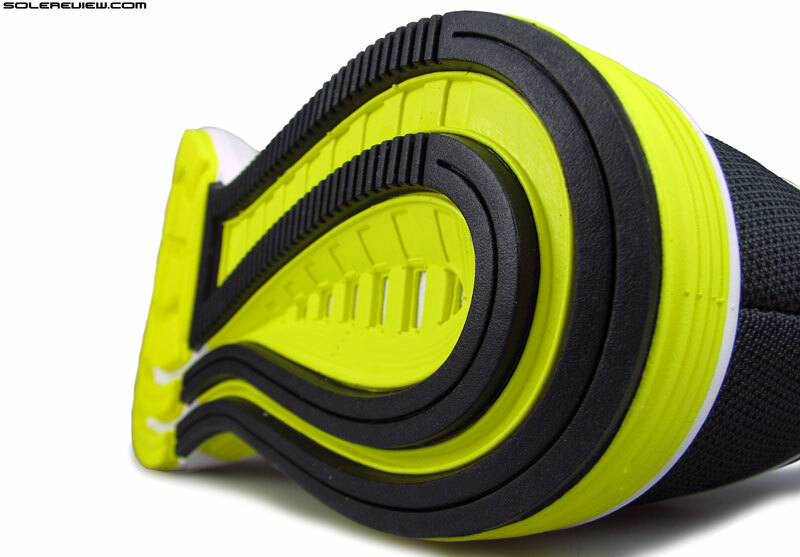 The net result is that the Vomero 12 trades responsiveness for cushioning softness. You do feel the Zoom Air bags, but their ability to snap back is somewhat blunted by the softer material below it. To sum it up, the Vomero 12 is firmer than the V11 but softer than the V10. 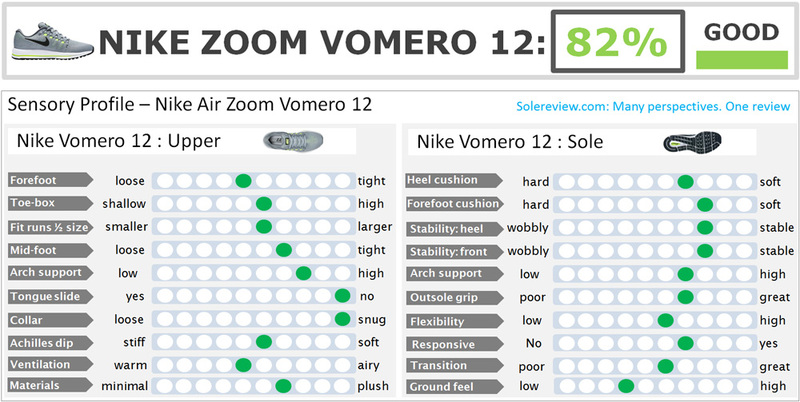 In terms of responsive feedback, the Vomero 11 was the most responsive, followed by the V10, and finally the latest V12. For a shoe this cushioned, the midsole is surprisingly supportive. The compression isn’t skewed to either side; this ride quality can be explained by the use of a single density outer midsole and the heel cavity. The Vomero 12 is a neutral shoe in the true sense of that term. The soft core inside a firmer EVA casing keeps the foot centered, and the heel cavity does the same thing too. 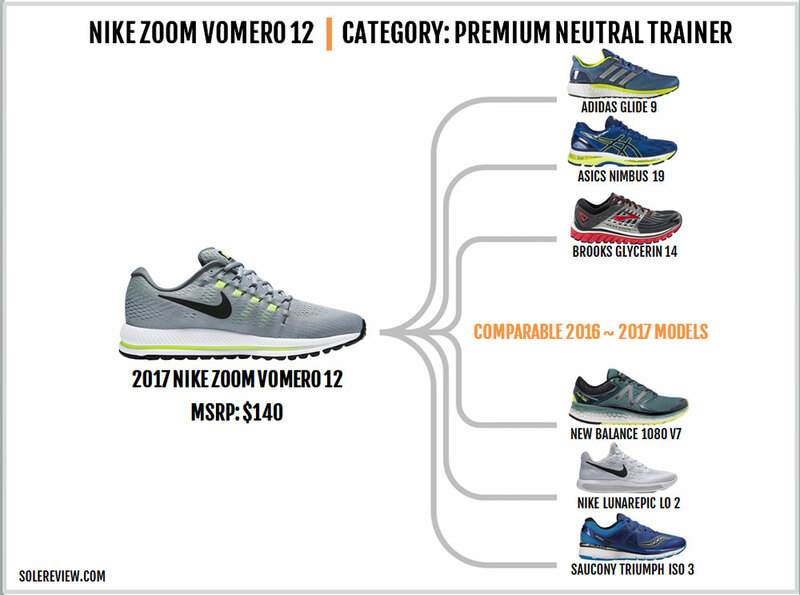 It’s also worth nothing that the Vomero 12 has a broader outsole footprint, an update which delivers a planted ride. Also, the raised midsole sidewalls on the inner side produce a higher sense of under-arch support. And as far as the midsole ridge is concerned, it goes uniformly around the midsole and isn’t confined to the lateral side. 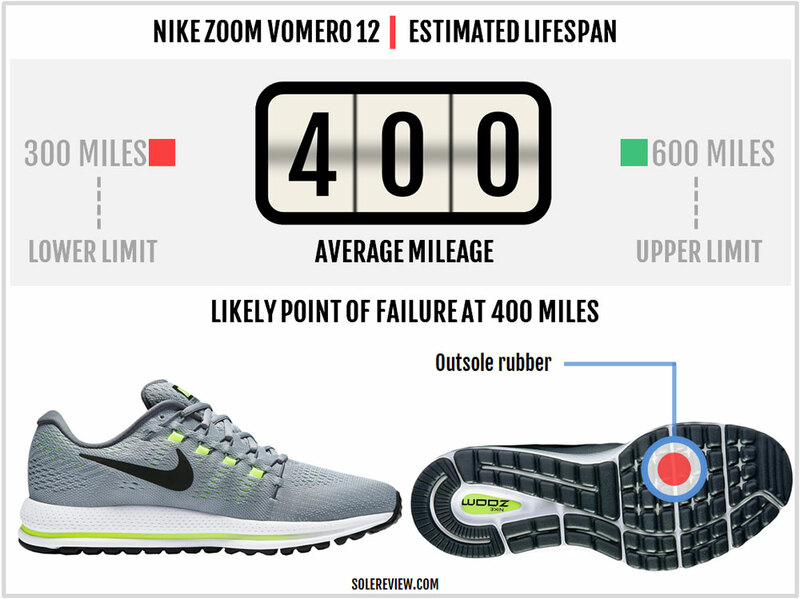 All that said, the Vomero 12 isn’t a fast shoe. While the continuous outsole coverage makes for smooth progression, the loss of ‘crash rails’ means that the transitions aren’t as quick as they used to be. Everything on the Vomero 12 is designed to result in a leisurely ride, and that’s what you get. The Vomero 12’s strength is its quality of cushioning. Through a judicious use of different cushioning components, the Vomero manages to deliver a ride which is soft but not mushy. The midsole also delivers a decent level of support, thanks to the firmer outer midsole and a wide base. Improvements are experienced in the form of the Flywire lacing design too, as Nike cobbles up an ingenious hybrid of the cord based Flywire and flat straps. The upper interiors are a smooth place to be in, and midfoot and heel provide adequate lock-down. Nothing is perfect, and nor is the Vomero 12. The midsole lacks torsional rigidity due to the segmented (lateral) outsole, and the shoe flexes all wrong. Though this is a less of concern considering the Vomero’s thick midsole, it is something which needs fixing. Despite being a softer shoe, the Vomero 11’s solid crash rails helped the shoe flex in a uniform manner. The lack of crash rails also makes the new Vomero 12 slightly sluggish than the previous models – a difference which is going to be noticed by those running in the Vomero 10 and 11. 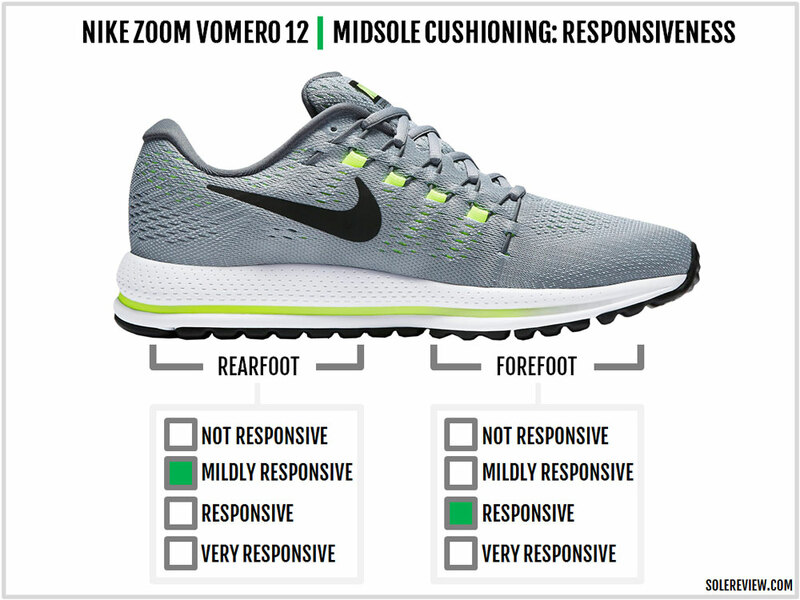 Responsiveness also takes a hit, as the snap-back effect of Zoom is somewhat filtered by the soft material stack. The Zoom Elite 9 is a useful second option, as the much firmer midsole packs in a lot more quickness. The Elite is nearly four ounces lighter than the Vomero, and that is noticeable during usage. 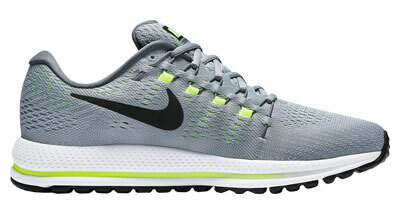 An ultra-light raceday option would be the Lunaracer 4. Weighing an incredulous 6 ounces, the LR4 manages to pack an exceptional amount of padding, thus ranking it as a top shoe when it comes to the cushioning-to-weight ratio. The Saucony Ride 9 shares a few characteristics with the Elite, should you consider the Ride 9 and not the Elite. The upper fits narrower than the Vomero, and the ride is firmer. But you’ll get plenty of high-paced mileage on the Ride 9, which will be a break from the leisurely runs on the Vomero. A lightweight, non-Nike rotational alternative is the adidas adios 3 Boost. Can’t go wrong with this one; the ride combines a fast feel with cushioning, and the upper breaths extremely well. The Vomero 12 is marginally firmer than the 11 due to the new midsole. The outer layer is now single-density, and the midsole foam used is a firmer kind. We’d like to add that the Vomero 12 has a lower heel offset of 10 mm versus 12 mm on the Vomero 11. A key difference between both the versions is that the Vomero 12’s ride softness permeates throughout the entire thickness of the midsole and outsole. The blown rubber outsole is a factor here, as it produces a soft feel at the point of contact with the surface. Responsiveness, on the other hand, goes down a notch. The midsole feels stabler than the V11 due to the increased firmness and the single-density outer midsole. Paradoxically, transitions are slower than both the V10 and V11 due to the redesigned outsole. The V12 fits similarly with well-proportioned toe-box and forefoot. That said, the forefoot does feel slightly narrower than the V11 due to the first column of Flywire cords. Structurally, there are quite a few updates. The Flywire system has been redesigned, and so has the midsole and outsole; the latter makes the Vomero 12 heavier by 0.3 ounces/ 9 grams. There’s no change in the retail price, remaining constant at an MSRP of $140. The Nike line is packed with neutral cushioned models, so there’s no dearth of lower-priced alternatives. 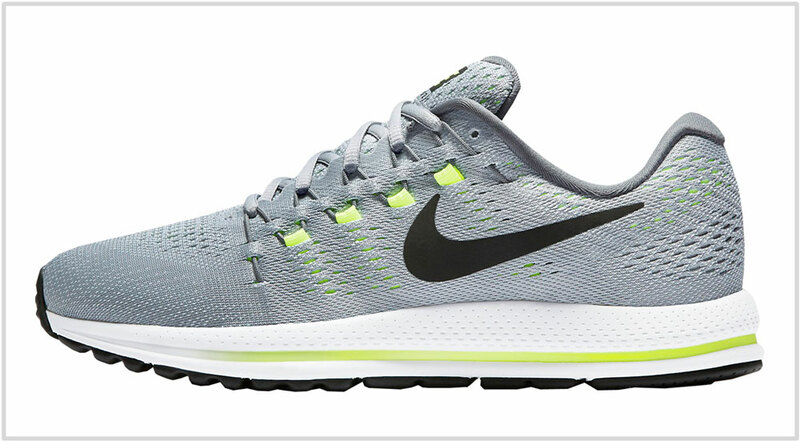 The versatile Pegasus 33 is priced $30 lower at an MSRP of $110. Like the Vomero, the Pegasus features two Zoom Air bags. Differentiation comes in the form of a slightly snugger upper fit and a much harder outsole. The ride quality is firmer than the Vomero, and it feels quicker to run in. The Winflo 3 is an excellent neutral cushioned choice at an MSRP of $75. It has a heel Zoom Air bag and an all-foam forefoot; at 9 ounces it is a much lighter shoe than the Vomero 12. Of course, it lacks the sheer depth of cushioning which the Vomero and Pegasus possess, but hey, you have to take the price-value factor into account.